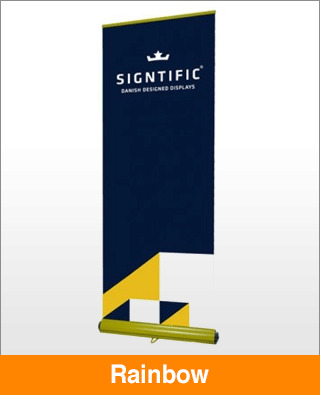 Stand out from the crowd and boost your brand image with a Rainbow Signtific roll-up banner. Unique to other roll-ups the Rainbow as the name suggests is available in a wide range of colours and can be manufactured to your customised colour. The stylish, high-qulaity aluminium base is stable and durable and has a central swivel foot for added stability.